Science fiction novels, TV shows, and movies have time and time again toyed with the cloning of ancient animals. But just how close are we to bringing those species, and our childhood fantasies, back to life? While animals were first cloned about 20 years ago, modern technology has only recently made repopulating some areas of the world with extinct species seem feasible. 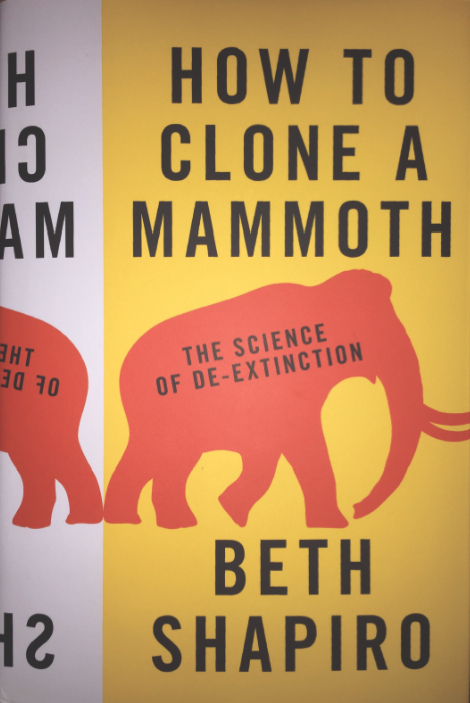 In her book, How to Clone a Mammoth, evolutionary biologist Beth Shapiro attempts to separate facts from fiction on the future of these creatures. Her research includes work with ancient DNA, which holds the key to recreating lost species. The book, a sort of how-to guide to cloning these animals, takes us step-by-step through the process of de-extinction, from species selection to the reconstruction of the genome and necessary ethical considerations. It is written to engage scientific and non-scientific audiences alike, complete with fascinating stories and clear explanations. 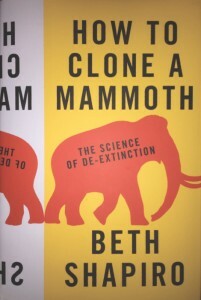 How to Clone a Mammoth explores the feasibility and process of reintroducing extinct species into modern ecosystems. Image courtesy of Princeton University Press. To Shapiro, de-extinction is not only marked by birth of a cloned or genetically modified animal, but also by the animal’s successful integration into a suitable habitat. She envisions that researchers could clone an extinct animal by inserting its genes into the genome of a related species. Along these lines, Shapiro provides thought-provoking insights and anecdotes related to the process of genetically engineering mammoth characteristics into Asian elephants. She argues that the genetic engineering and reintroduction of hybrid animals into suitable habitats constitutes effective “clonings” of extinct species. While some sections of the book are a bit heavy on anecdotes, most are engaging, amusing, and relevant enough to the overall chapter themes to keep the book going. Shapiro includes personal tales ranging from asking her students which species they would de-extinct to her struggle trying to extract DNA from ember. The discussion of each of the book’s core topics, such as the process of finding a species to clone, or the task of setting it free, feel sufficiently explored with a wealth of examples. Shapiro tosses in some comments on current ecological issues here and there, and for good measure, she busts myths like the idea that species can be cloned from DNA “preserved” in ember. Sorry Jurassic Park. The book is a quick, easy read — only about 200 pages — that would be of interest to any biology-inclined individual and accessible even to the biology neophyte. Shapiro summarizes in-depth technological processes simply and with graphics for visual learners. Each chapter is also well organized with sub-headings for smooth transitions: even in format, the book is highly approachable. Most of all, Shapiro’s book leaves the reader optimistic for the future of Pleistocene Park — a habitat suitable for the reintroduction of mammoths. Our childhood fantasies, when backed with genetic engineering, could be just around the corner. Cover Image: Image courtesy of Pixabay.